Develop your brand, promote your company, and build new relationships through a comprehensive advertising strategy on Facebook. Green.Click upgrades your perhaps uninspiring Facebook presence to an engaged outreach that comprehensively involves users in your products and services. 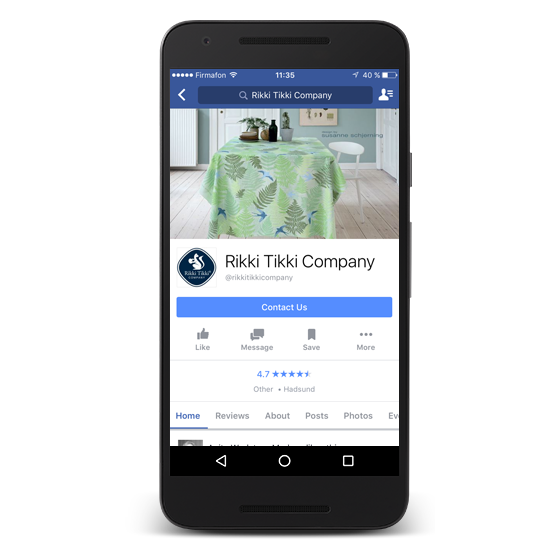 The practices and opportunities for commercial success on Facebook have changed considerably, benefiting user interests and business objectives. Green.Click customizes campaigns for your target groups on Facebook whose interests align with the products or services on offer by your company. We thereby create value and measurable results for you in the ever-increasingly important online social environment. The key to success on Facebook is creating relevant and engaging content for your target audience. It is not difficult to achieve visibility and new followers, but it takes a comprehensive strategy to create quality traffic that results in customer referrals, increased turnover, and a healthier bottom line. We assist you in promoting your brand and in configuring ongoing campaigns, Facebook Remarketing, and your conversion-focused advertising.